NABARD and Ministry of Micro, Small and Medium Enterprises (MSME) promotes this scheme to encourage entrepreneurship and employment opportunities in rural and backward areas. Poultry has an important role in India as eggs and meats are the important and comparatively cheap source of protein and vitamins. Chicken is most widely accepted meat in India. Secondly, chicken has no religious taboos like pork and beefs. Eggs have become an important ingredient of morning breakfast for a large number of families in urban areas. So overall the poultry business seems to be a good option for someone who want to start a new business with less investment. NABARD provides 25 % of outlay as back ended capital subsidy and 33% in the case of SC/ST and North East states. It means the interested business person or an entrepreneur has to first avail a bank loan only then subsidy can be availed. In simple terms, 25% of your total investment will be adjusted as back ended capital subsidy. In order to avail the subsidy – 40% of the outlay cost should be availed as bank loan. For instance, for an outlay costing 10 Lakh your bank loan must be 4 Lakh. For loans more than 1 Lakh – 10% of the outlay cost should be contributed by the entrepreneur. We already spend 9 lakhs in poultry farm of layer.we wanna make one more farm bigger then first one.we need loan pls guide us how can wr take a big loan . We are happy to provide you the necessary support. Please provide your full details in this form – https://theindianiris.com/submit-your-project/. Hi niveau i want to start poultry with 500 birds.can you help me. Hi plz guide me I want to open poultry. Pls inform me the process for getting potty loan about 5000 birds. Your sincire advice will help me a lot. 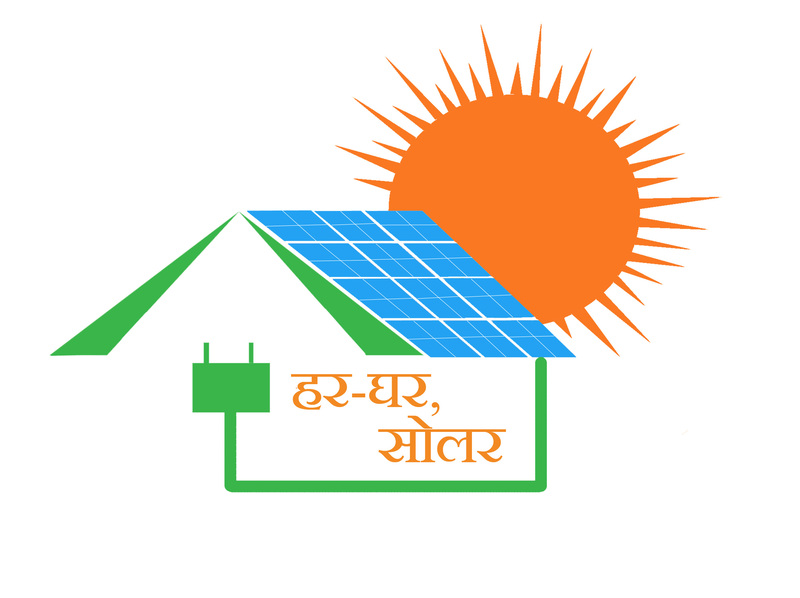 We The Indian Iris provide information and awareness regarding Government Policies and Schemes and Services in Rooftop Solar Energy. Regarding you query, you can avail loan from Bank of India, as they have cleared a notification regarding loan for poultry farming. plz provide me full details for poultry farm loan at mp. I want to open layer poultry farm upto 3000 capacity of chicken at azamgarh uttar Pradesh. then I need some loan please advise me . Thank you for your query. Kindly provide brief details of your requirement (project proposal) and your professional and educational experience (including contact details) at [email protected] and we will get back to you. I have availed a broiler poultry loan of Rs. 15 lakhs during january 2016 in the form of cash credit account and it is running smoothly. Now shall I eligible for subsidy ? If so let me know the procedure to avail. DEAR SIR, WE PLAN TO MAKE POULTRY FARM.. CAN U GUIDE ME AS HOW TO GET LOAN AND HOW TO APPROACH FOR SUBSIDY. I want to start natukodi (contry chiken)farm in my 6 acres of land .howcan i get loan through government. Sir, i wanted to start country chicken poultry (natu kodi)in five acers of land. it is costing around 90 lakhs.how much bank loan and subsidy can i get. Hi , i am planing to increase my broiler poultry form to 25000 birds, now i have 13000 capacity, please let me know how to get loan for new forms. i want to start a poultry farm…..please tell me the process, how can i get a loan… . Taking loan is not important ,how can you pre pay the loan as broiler rate is volatile and it is now more cautious sector. In middle of the part there was a subsidy problem in Poultry Venture Capital Fund Scheme, Is the 25% Subsidy is availabe Now? If we apply For subsidy will it be cleared by NABARD after completion of d Project. I would like tell u that I am planning to start broiler poultry farm in next few months. So how do i get subsidy and what r the procedures and to whom I have to send the papers and what I have send so please guide me. I want to open a poltry porm plz tell me prosses of lone. hi, I want to start a broiler poultry farm. I have a land in village called pechinayakkanur near Palani, Dindigul Dt. Please provide me the details. Thanks in advance. I have started the poultry farming with a small farm but now i want to expand it take it to optimum level of 10000 chicks/month. So plz guide me how to get a loan and support for expanding this farming business. my name is srinivas i belong to st commmunity i want to start a broiler farm of 10000 birds pls help me in getting subsidy. hi, I want to start a broiler poultry farm. I have a land in village and i have 5 acras mangos trees and bore well Please provide me the details. Thanks in advance. I am interested in broiler farming near about 5000 bird in U.P. location near Raebareli . Please suggest about loan process as per my calculation the expenditure is approx 5 to 6 lakh how much we can get the loan & how much subsidy . I have started the poultry farming with a small farm [3000 ] but now i want to expand it take it to optimum level of 10000 chicks. So please guide me how to get a subsidy loan and support for expanding this farming business. Sir, I am belonging from jamshedpur, jharkhand. And I want a loan for open 5000 broiler poultry firm. So pls need loan for land. I am keen to start a poultry farm. I do have some information about it and need to know much more about it.. i have my own land also.. in uttrakhand and as well in uttar pradesh… pls let me know about the schemes subsidies and everything i should be knowing about it. I would like tell u that I am planning to start Layer poultry farm (40000 No. birds) in next few months. So how do i get subsidy and what r the procedures and to whom I have to send the papers and what I have send so please guide me. Hi I am Ravindra Govil I have my own land I want to start poultry farm with 3000 capacity of chicks. How can I get loan for this from nabard. I want to start bolier poultry chicken farming. Of around 5000 chicken .Plz guide regarding loan and subsidy process. WE WISH TO START POULTRY FARM FOR WHICH BANK HAS APPROVED THE LOAN. OF RS 32 LACS LAND IS OUR OWN IN JAMMU, JAMMU AND KASHMIR. .
PLS GUIDE US HOW TO GET SUBSIDY ON THIS . Hai… I completed my degree, I am so much interested in poultry and agriculture… so now I like to develop a new poultry farming and fish farming, so.pls.kindly advice me for loan process as well as poultry guidance…. My dear sir.my small business is Local hens farms start. I have no many. But anyhow starting my hens farms. Plz sir help me. My loan is very small 500000 lakhs only. Thank you my dear Sir.i am waiting your reply. I want to start a broiler poultry farm in DHANBAD( jharkhand) on a large scale.plzz guide me and support me to get a loan and subsidiary. i want to open a poltry farm with 500 broiler birfs..plzz tell me how to proccess off loan. Greetings of the day, me ( manish ) and my partner ( Rajesh) are from mumbai and working for a highly reputed MNC in mumbai. we are planning for a full time poultry farm on the outskirts of mumbai. our target is 10000 layer and or 5000 broiler. our budget is 30 – 35 lakhs. we need guidance on the following. hello, my name is bipin kumar and i live in ranchi, jharkhand. i have a best place for layer poultry farm,but i can’t afort to start this project. so please help for loan prosess. I want to start a poultry with 20000 broilers chicks by loan. Shall I get loan for purchase of land or only for sheds. Loan amount nearly 40 lakhs, please provide me details on this as soon as possible. I want to start a poultry of 5000 birds please give me sugestions of subsidy. please tell me the process o loan and loan scheme. I want to construct Polutry boiler 20,000 birds in my own agricultural land.i want details of subcide loans in central and state government schemes. And I want total cost of birds and sheds capital . Me poultry farm kholna chahta hu, mera khud ka land hai,or me obc me hu, 0r me 3000 chuje ka poultry farm kholna chahta hu isme kya loan sistam rahega..kitne % subsidy mil sakti hai..or kya process rahega,mere ko jaldi se batae apka aabhari rahunga. i actually wants to open an farm of 10000 chickens . so can u give me information from where i can get subsidy for my farm . I want to start up a Poultry farm with 5000 birds. So kindly suggest me for this. Sir hi, I want to start a poultry farm. I have a 4 acares land in katenahalli village gudibande(taulk) chickaballapur(dt), Please provide me the details. Thanks in advance. plan to start broiler and sheep farm, required complete details about permission procedure if any from govt and if loan and subside available from govt. contact details: 9036111748, location hassan. I have own land. Sir i have a poultry farm , now i need some loan to maintain the farm. Please help me to get the loan and subsidy. I want to be first generation Entrepreneur so i want to start polutry farm ……i have no land and financial support plz suggest me for loan process and advice for this business. I’ve already started 500 poultry farm so I’ve need loan please information of the loan process. I have 3000 birds poultri farm form chikan. 3. Do I have to leave my job now. 4. What is the loan which I can receive and what will be my contribution. 5. Who can help me. 6. What size should you recommend. I would like open poultry farm in jharkhand,give me proper idea.. I want to start a poultry farming, please provide me the detail if I start with 1000 birds. Hi Sir, I wish to start poultry business, so Plz guide regarding loan and govt subsidy for this business. I am planning to start poultry farm with 1000 birds, in my own land.. I am from khammam city, telangana.. I want to start the business as early as possible.. I have some initial amount, and I need some loan.. I want the complete details of how much it costs in total and how much I can get loan..
How to and whom I have to approach for loan and other information on this business.. Please let me know sir.. I am Aslam from Telangana. Please provide me the data of subsidy loans for Poultry forms in Nabard and Minority schemes. I want to start a poultry farm in Nuapatna , Cuttcak district , Odisha. Planning for 10000 nos . I would like to make it fully mechanised or semi mechanised. I have sufficient land for poultry farm but i haven’t sufficient money so request you to suggest for best loan with government benefits. We have poultry running since 1985 , having capacity of 10000 birds. I am planning to invest more and develop to 10000 more, Can you please assit me on getting loan and subsidiary. My Father having poultry framing in kanchipuram, tamil nadu we have 10000 birds right now and i want to extend the business to construct another farm for additional 10000 birds, what is the procedure to get loan and subsidary, kindly suggest. I m a engineer,but i want to continue my carrier in farming i have plan for goat farming and poltry farm pls suggest me proper policys for both. I am planning to start layer poultry having capacity 5000 birds. I have farm, I am engineer, Entrepreneur. I want information about government schemes and subsidies and how can I raise finance from bank. I am planning to do poultry farming I provide all necessary details whatever your may require. Even I am I like to plan for 20000 to 30000 birds . Hi, I am from Manipur and have already started broiler farming on a very small scale and I would like to expand the scale to à thousand or two thousand broilers and for this I would require a loan and subsidised inputs, please guide me to go ahead with this project. Waiting for you reply and assistance eagerly. I have a loan plzz req.kindly ..
Pls. Guide me for start a poultry farm in gujarat area. What is the requirement for that. Pls. Guide. 2. Layout of battery cage system . 4.from where can I buy good chicks . I need proper project report about battery cage systems . I’m waiting for your valuable mail. I am a business man and looking for Poltry and fishery farming in noida need help in funds please provide me info. My poltry is ready for 6250 chicks now I want to purchase chips so I want loan or subcidi.pls contact me. Sir i have my own land.i want start my poultry business.i need loan for construction of shade.total loan amt for shade purpose.can you please help me. I want to start poultry farm business.I have a 5 year rental/leased poultry farm which are made for 3000 birds. I need to capital for starting farm. Which bank offer loan for starting business without security. Currently I am run chicken shop last 8 year. I am from Akola Maharashtra, I want to start poultry farming business and I need help to grow up in this business, please give me a information about the same. Please inquire 25% subsidy on loan for poltry farming We already spend 9 lakhs in poultry farm of layer. we wanna make one more farm bigger then first one.we need loan pls guide us how can wr take a big loan for amount is 10 lack only. I am vilas sawant I have my own land I want to start poultry farm with 5000 capacity of chicks. How can I get loan for this from nabard. I Want Start My Small Business As Poultry Farm So Please Help me About This Business.Which Scheme Is Provided By Government. I am planning to start layer poultry having capacity 5000 birds. I have farm, I am mba, . I want information about government schemes and subsidies and how can I raise finance from bank. ramrajpatel v.belha.p.sonaura.rewa.mp i5000poltri chiks palana hai .expir.12years jiske liye loan properte per lena chahta hoon meri madad karen. This is purushotham from chittoor . I am planning to start pultry business and I have complete setup like Poultry form with capacity of 5000 chicks ,godown with feed machine and water facility . We are started this business 20 years back due to some family issues we stopped business from last 5 years.Now I would like reform the business.How much subsidy I will get for 5000 chiks and what is the process. Advance thanks any help in this regard. I want also in start a poltryfarm business .please send to me a small finance and details. I hope I am really successful in this business . I am Ashish rana from panchkula disttc haryana. I completed my MASTERS OF BUSINESS ADMISTRATION. I want be a entraprnure so that i am intersted to in poltry business. Because i also have complete building for chicks farm of 8000 birds. Please suggest me best way to start up . Dear. Sir want to start a poultry farm in UP. dist Gorakhpur near chauri chaura of 2000 birds so pl z reply me what are schemes are available for Utter Pradesh. I would like tell u that I am planning to start poultry farm in next few months. So how do i get subsidy and what r the procedures and to whom I have to send the papers and what I have send so please guide me. I am a employee of godrej agrovet Ltd Khurda,odisha unit.I have a knowledge of poultry farms so,l have required a lone amount of money 7 lakhs for 8000 Bards. Please provide me information this related. sir i want all details of poultry farming how o start, how to manage, what is the process of installing poultry farm. please give me full details in my mail id. Hello sir . I want to start poultry farming business . I have vacant land which I want to utilize in poultry farming business . Sir there is problem of start up fund , so I am seeking loan . What is the process of obtaining loan and how I can get subsidiary on loan , please provide me complete detail. I want to setup a new poultry farm myself, it is my humble request to you to please help me in doing so. Please guide me. Also i wanted to know about the minimum requirements required for the startup. Waiting for your reply. I want to setup a new poultry farm myself, it is my humble request to you to please help me in doing so. Please guide me. Also i wanted to know about the minimum requirements required for the startup. Waiting for your reply.I am live in Central Gujarat. What is the loan process and How to get subsidy. I am interested to run a poultry farm with 500 chickens so what is the process to start the small business suggest me in detail about scheme, loan and subsidy. Hai… we are groupof graguates completed our degree and masters some are from OBC and SC category , We are so much interested in poultry and agriculture… so now weI like to develop a new poultry farming and fish farming, so.pls.kindly advice us for loan process as well as poultry guidance…. I already have a farm of capacity 18000 and out of this I taken bank loan for 8500 birds. So I kindly reuest you that please provide me the subsidy scheme, if possible. I would like to start a egg farm.Will you please assist me how could i start this buisness. And what are the subsidies which i will get from government. Dear Sir,I am Anudeep and i am intersted in starting of new small fish and hen poultry.Will i get any loan on this poultry. I have 3000 hen.I spend 400000. I want to take loan.Please help me. I am a graduate Sc student, I want to started a polutary farm in puri, odisha,. But don’t have sufficient money , if help my project , I honourable to you. Hey I am sunil singh graduate have my own shed of 3520 square feet but not abel to run it because of financial problem if any one can help me in it I will be so thankful to him and promises I will return loan amount at right time. Am planing to start country poultry farm with 1000 chicks, so can you assist me how and what to do…. I want open 4000 to 5000 layer poultry farm. Please help for loan with subsidy. How to apply poultr form loan with subsidy in bank please suggest , I decided to have 10000 birds…..plz give me information. I would like to start poultry form. May I know what are clauses have to fulfill and What are the basic requirement to start it ? We The Indian Iris provide information and awareness regarding Government Policies and Schemes and Services in Rooftop Solar Energy.Regarding your query, you can contact to NABARD Department for more details. I WANT TO START POULTRY FOAM IN MY AGRICULTURE LAND.PLEASE GUIDE ME HOW CAN AND HOW CAN I APPLY LOAN FOR POULTRY BUSINESS . ALREADY I HAVE A SMALL POULTRY FARM OF CAPACITY 300 NOS . NOW I WANT TO MODIFY UP TO THE CAPACITY OF 3000 NOS .SO PLEASE HELP ME ABOUT THE LOAN. I WANT TO START IMMEDIATELY. Sir, I am Amit from odisha, I just started a polatry farm in my own costs, capacity 4000,wants to increase it to 10000,can you help me? Ye apna naam naman Singh bata rahi thi is ladies NE mujh SE aour mere dost Parmod telang SE kul Mila kar 74000 Rs le chuki hai .pmegp loan sanction karwane ke liye ab iska dono number band aaraha . I am interested to run a poultry farm with 10000. We have a land near to government school with the distance of 200 Meters. Will some one please let me know the government rules to run a poultry. i.e: how much far the poultry farm should be there to schools/building/main roads and what is the procedure to get approval from the government. Me apna poultry farm kholna chahta hu…Uttar pradesh me please app bata sakte hai..ki govt. se subsidy ki help kaise or kaha milegi. Im Swamy burande, From Nagpur. I want to start contract poultry broiler farming in nagpur. I have land power but no sufficient capital cost. How will i get the loan to establish the farm of at least 20000 birds. I want to do native chicken farming In West Bengal. 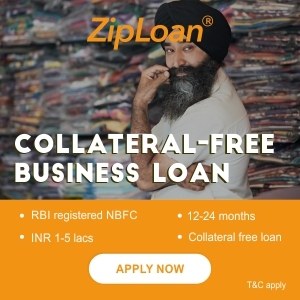 In this field, is there any option for bank loan ? If is there, please tell me details, I will apply. Hi, I want to start poultry farm with 2000 chiks on my personal farm. I am based in Rampur ( U. P. ), How much space do I required for 2000 chiks., what would be minimum investment and what would be other facilities should I required. If I go for loan then I am the entitle for loan if yes, how much subsidy should I get on my investment, interest rate of the loan amount, Ups and downs and what how much percentage % I can make profit per annum. I’m from Chittoor, Andhra Pradesh. I’m from a backward class SC-MALA, I would like to start a medium scale poultry business in my hometown. I would like to know the procedure to apply for the loan. Since the age of 18 I wanted to become an entrepreneur, unfortunately, I am financially backward. So please help me with the procedure to get a loan under this scheme. And also I would like to know about the subsidy of 33% for sc/st people. I have visited the sbi website for poultry loan, but I didn’t see anything about subsidy and since it is a government scheme it should be the government who has to give the loans and only 40% of the amount we should get from the bank right. I m interested to start poultry farm business in a small scale dependent. So I want loan with subsidy intended & plz guide me how to go an procedur????? how do i get subsidy and what r the procedures and to whom I have to send the papers and what I have send so please guide me. Hi Sir, I have old boiler farm capacity of 1200 birds/batch due to fanancail problem we stoped producing, now are planning to start again could you please advise and help out to get government schemes to easy restart the farm. Hello sir. Maine yahi aapke web site par poultry farminng ke liye idea poochatha loan ke baare me oopar mera naam hoga Akram . Dayam Here ,Need your assistance as want to open Layer Farming for 12000 birds,I am having land of approx 15 bighas at my village which is approx 100 km far from Lucknow. Please give advise and estimation budget cost for the above specified birds with having land with me. Feel free to correspond with me on [email protected] and advise me Pros & Cons of it too. sir please help me for a loan . i am also constructing a poltury farm of 10000 birds. sir please help me for a loan. i am also doing construction of a farm for 10000 birds. my contact no. is 9661888770,8340411725. I am interested to start Poultry we want to know there is any loan available ? I want to be lone for starting 10000 of broiler birds poultry farm .please give me detail’s. I belongs to cast of NT.I live in Maharashtra. I wana to start the poultry farm can u ge me the details of the loan for start up…. we applied loan for 30 lakhs and bank already granted 25lakhs.. I am a farmer, I am starting a poltry farming. I have done 4200sq.feet area construction and now i need loan for starting operation like purchase bachcha and it’s food. I m from west UP. bank of baroda bale to pagal bana rahe hai. From last one month, bank ke chakker kat raha hu. Kindly provide me support how and where can i get loan? I would like tell u that I am planning to start broiler poultry farm. So how do i get subsidy and what are the procedures and to whom I have to send the papers and what I have send so please guide me. I am interested to run a poultry farm with 10000 chickens so what is the process to start the small business suggest me in detail about scheme, loan and field construction. sir l want to start a poultry layers unit of 50000 birds for which l want to know where to apply for loan and what is nabards new scheme. We are planning large-scale layer farm of 7500 birds/batch Total 30,000 birds, let me know where I can aprroch for the loan facility.